Award-winning comedian James Acaster brings his newest show to the West End for a week-long run at the Vaudeville Theatre. Cold Lasagne Hate Myself 1999 is the latest show from the whimsical master, who reflects on the best and worst year of his life by doing stand-up comedy in the middle of throwing a strop. 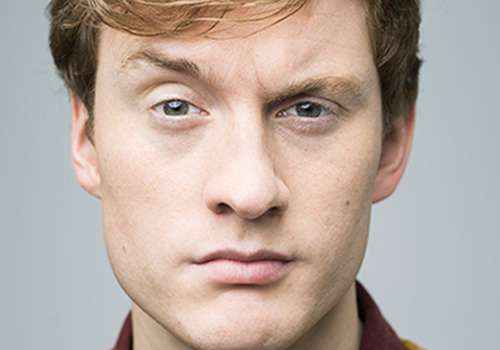 Best-known for his stints on popular panel shows Mock the Week, Would I Lie to You, QI and Have I Got News for You, as well as appearances on Live at the Apollo, James Acaster is the rising talent that has captured the laughter of British audiences. With two Chortle Awards under his belt, including Best Show and Breakthrough Act, Acaster holds the record for five consecutive nominations for Best Comedy Show at the Edinburgh Fringe Festival. Following on from the huge success of his latest tour The Trelogy, which consists of his latest three Edinburgh shows Recognise, Represent and Reset, Cold Lasagne Hate Myself 1999 promises to be equally as amusing. Acaster also has credits to his name including YouTube series Sweet Home Ketteringa, an album with his band entitled Luna Dott Raids the Bee Pigeon, and a Sunday Times bestseller Classic Scrapes. With critical acclaim surrounding his latest work, James Acaster is one of comedy’s hottest talents. Cold Lasagne Hate Myself 1999 plays a strictly limited week at London’s Vaudeville Theatre, before embarking on a UK tour. The show runs from 29 October to 3 November 2018. James Acaster is suitable for those aged 16 and up.